Schemper Harvesting is currently hiring qualified individuals for the harvest season, beginning in May and finishing in November typically. Come join the "American Harvest" and gain exceptional agriculture experience! 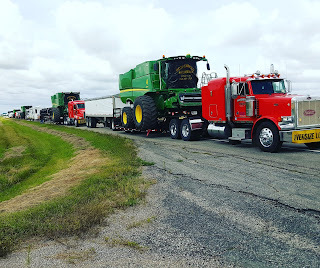 Class A CDL drivers with farm machinery experience a must! Apply today! SCHEMPER HARVESTING PROVIDES AN EXCELLENT OPPORTUNITY FOR EMPLOYMENT! If you are looking for an exciting career that allows you to travel throughout the Midwest, please apply today! ATTENTION: Note that we do not hire H2A workers. Our requirements include being a United States citizen. Schemper Harvesting is a family-owned and operated custom harvesting business located in Holdrege, Nebraska. Every year we harvest from the Texas border to the Canadian border and are always appreciative of good help. We are constantly searching for young, dedicated, reliable, qualified employees with previous experience and a Class A CDL that we can train and work with daily to run all of the business equipment. These employees will have the best and most unique opportunity of a lifetime to see the Midwest and experience the "American Harvest!" We like to choose employees who will take this responsibility as seriously as we do. 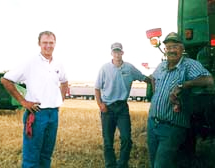 The best crew members we have ever employed have been the ones who enjoy farming and went on harvest for the experience. The opportunity here to operate “big iron” and work on many different farm operations is outstanding. 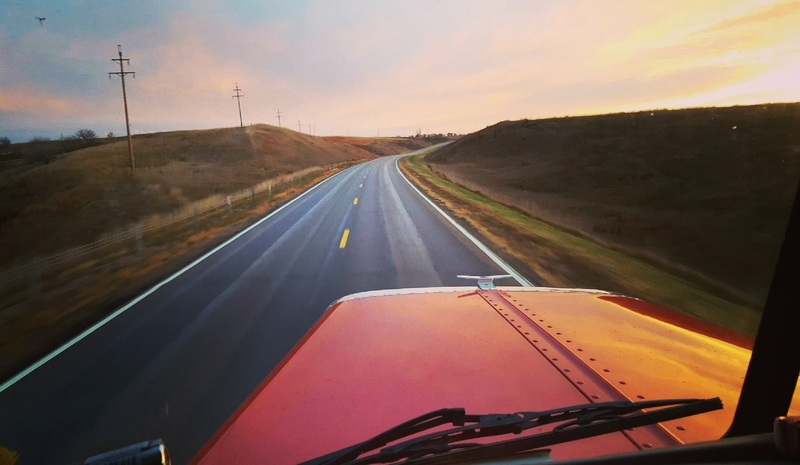 This is your chance to gain valuable truck driving and equipment experience while you work with like-minded individuals also interested in agriculture. UNITED STATES CITIZEN — Because we are not certified to accept H-2A visas, all of our employees must be citizens of the United States. We will not consider applicants from foreign countries or applicants who cannot produce proof of citizenship to the United States. COMMERCIAL DRIVERS LICENSE — The nature of our business requires our employees to have a Class A CDL. This allows for the operation of our trucks. All employees will be required to drive a vehicle that requires a Class A CDL while we move from one location to the next. ROOM AND BOARD — Two meals per day are provided. Meals will be served at the campers or served in the field when we are harvesting. Housing accommodations are also provided for our employees. WORK WITH THE WEATHER —During harvest, Schemper Harvesting’s work is all dependent upon the weather. When the weather is good and we have the opportunity to work, we will be working long hours. When the weather is not cooperative with our business we take the time to service our equipment and relax. JOB WELL DONE — Schemper Harvesting is paid for a job well done. This is what we expect of our employees. If you have good work habits, are self-motivated, dependable, not afraid of hard work and would enjoy working with a family business, then Schemper Harvesting may be the employment opportunity for you. If you meet the requirements above, please consider filling out an application. There are a few different ways to apply for employment with Schemper Harvesting. Click on the link above that says "online application" to fill it out and send it electronically. This is our preferred method for receiving applications. Download the application above by clicking on "paper application", print it off, and fill it out in print handwriting. Fax the application, a copy of your driver's license and your resume (if available) to (308) 995-6957. Download the application above by clicking on "paper application", print it off, and fill it out in print handwriting. Scan the application and a copy of your driver's license, and attach your resume (if available). Then send it to schemperharvesting@yahoo.com with "RE: employment" in the subject line. If "RE: employment" is not in the subject line, we will not open the e-mail due to spam. Schemper Harvesting is a family-owned and operated custom harvesting business located in Holdrege, Nebraska. Every year we harvest from the Texas border to the Canadian border and are always appreciative of good help. We are constantly searching for young, dedicated, reliable, qualified employees with a Class A CDL (with endorsements Double/Triple Trailers, Tank & Hazardous Materials) and previous experience that we can train and work with daily to run all of the business equipment. These employees will have the best and most unique opportunity of a lifetime to see the Midwest and experience the "American Harvest!" Full-time employees needed. Competitive wages and room and board included. Opportunity to earn bonuses too. We are currently searching for hardworking full-time employees (May – Nov) to add to our team. We use late model, up-to-date well maintained equipment. We expect our equipment to be handled with the most professional care. Honesty, dependability and professionalism are important qualities that we look for in our employees. We expect excellent communication skills between all members of our crew. Employee will have responsibilities relating to all aspects of harvesting. A few include equipment operation, maintenance and repairs. This includes operating a combine, tractor grain cart and driving the trucks hauling grain and equipment. Agriculture work includes working long hours especially when the weather is right!